It's 2019 and we are ready to surprise you every day with incredible new events. 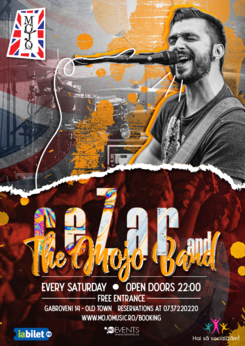 And because we are one of the most known bars in Bucharest for our exciting atmophere and unforgetable live performances, ladies and gentlemen, Mojo brings brings back the concept that made our bar famous. Atentie! Concertul incepe la ora 23:00.